On February 22, CAAC and China State Shipbuilding Corporation Limited (CSSC) signed strategic cooperation framework agreement in Beijing. 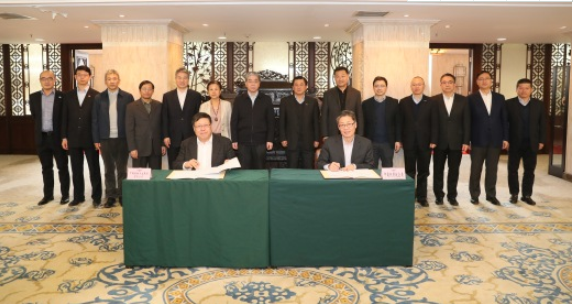 CAAC Administrator Feng Zhenglin, Deputy Administrator Wang Zhiqing, CSSC Chairman Lei Fanpei, and Deputy General Manager Qian Jianping attended the signing ceremony. Wang Zhiqing and Qian Jianping signed the agreement on behalf of both parties. The agreement puts forward the purpose, objective, content and mechanism of the cooperation between CAAC and CSSC. According to the agreement, the two sides will carry out in-depth cooperation in fields such as research and planning of comprehensive supporting service system for general aviation, civil-military integrated development of general aviation, application of general aviation in smart marine engineering, technical support in general aviation information service, smart ATC technology research and application, smart general aviation airport design and management, and research of key technologies in aviation emergency rescue and application demonstration. The cooperation will also promote civil-military integration and development of general aviation.